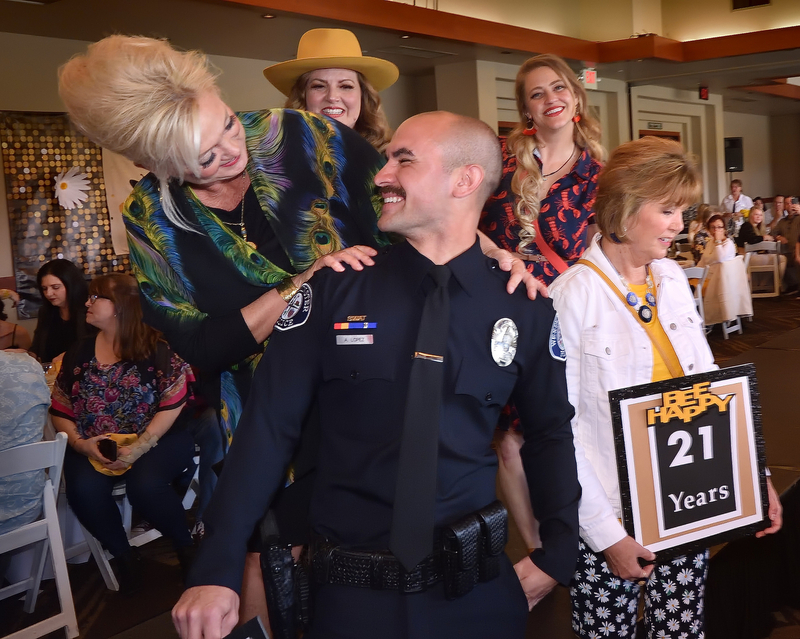 DIANA SULLIVAN, a 10-month cancer survivor, left, thanks Westminster Police Department Officer Alex Lopez after their participation in the Spring Sting Fashion Show fundraiser. (Photos by Steven Georges/Behind the Badge). Westminster Police Officer Alex Lopez is not one for seeking out the limelight. 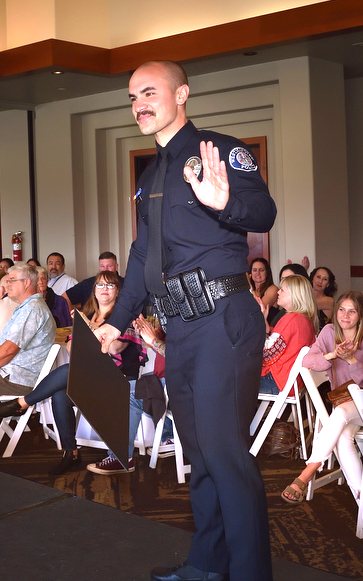 So when the 28-year-old patrol officer was asked to walk the runway – in uniform – in front of hundreds of people for a fashion show/fundraiser, of course his first response was no. “It was actually way out of my comfort zone,” Lopez said. But this was not a typical fashion show featuring typical models. This was the Spring Sting Fashion Show, which raises money for cancer research. Every single model was a cancer survivor or is currently battling cancer. Lopez is himself a cancer survivor, and recently celebrated 10 years of being cancer free. In 2008, Lopez had just graduated from Servite High School, where he was an all-league, all-CIF soccer player ready to take his game to an NCAA Division 1 university. But a diagnosis of testicular cancer just after his 18th birthday derailed those plans, albeit temporarily. Lopez endured four cycles of chemotherapy, receiving treatments eight hours a day, five days a week for about three months. As soon as he got the go-ahead to return to the soccer field, Lopez accepted a scholarship to play at Vanguard University. WESTMINSTER PD Officer Alex Lopez, a 10-year cancer survivor, waves while walking down the runway during the Spring Sting Fashion Show fundraiser. Two years later, Lopez transferred to Sacramento State, where he played two years of Division 1 soccer and graduated with a degree in public relations. Lopez was inspired to become an officer by a family friend who was a police officer with the Santa Ana Police Department. So, Lopez worked two jobs and paid his way through Golden West Police Academy. He was hired by the Westminster Police Department right out of the academy in September 2015. He recently became part of the SWAT team. 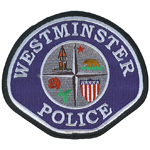 Westminster Det. Marcela Lopez (no relation) was familiar with Lopez’s victory over cancer. The detective also happens to be friends with the organizer of the fashion show. Marcela Lopez contacted the organizer, who convinced Alex Lopez to participate in the fashion show. Even when he was going through chemotherapy, Lopez didn’t mention it to many people because he didn’t want anyone feeling sorry for him, Roly Lopez said. After consulting with his brother, Lopez said he was struck with the notion that his participation in the fashion show represents a cause bigger than him. With his big brother and Det. Lopez in the audience, Lopez donned his Westminster PD uniform and was the final model to strut along the runway at the Old Ranch Country Club in Seal Beach. He was greeted with applause, as was every model who graced the catwalk. The Westminster PD also auctioned off the opportunity to go on a ride-along with Lopez when he goes on patrol. Want more about local law enforcement issues, news and personalities? Go to www.behindthebadge.com.